Osmar Barba Ibáñez (5 June 1988) is a Spanish central defender and holding midfielder who plays for FC Seoul in South Korea’s K-League Classic. Born in Santoña, Osmar was a product of local Racing de Santander’s youth system. After a successful loan stint with CD Salmantino in Tercera División, he returned to his first club, making his senior debuts with the reserves in Segunda División B and being relegated in his second year. On 8 November 2009 Osmar made his debut with the Cantabrians’ first-team, starting in a 0–2 La Liga home loss against Athletic Bilbao. He was promoted to the main squad for the 2010–11. 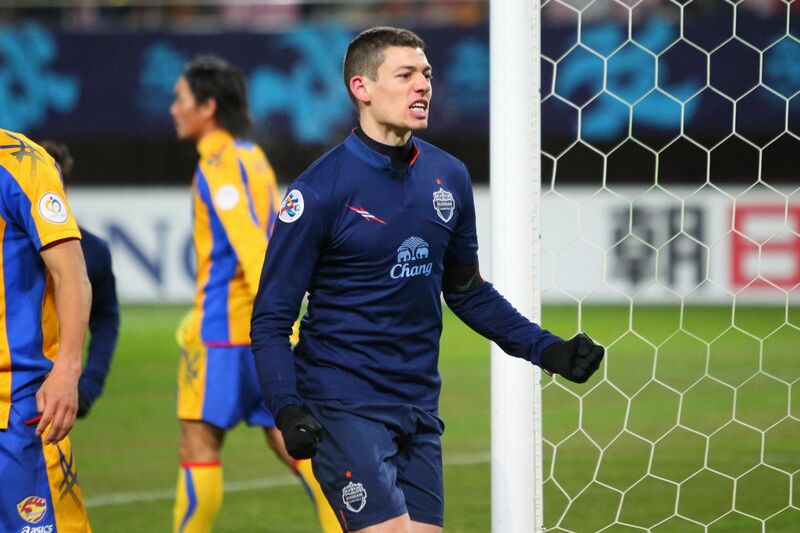 On 25 July 2012 Osmar signed a two 1/2-year contract with Thai club Buriram United FC. He made his debut on 1 August, appearing in a Thai FA Cup match against Chonburi FC. On 26 February 2013 Osmar made his debut in the AFC Champions League, in a match against Vegalta Sendai, acting as team captain and scoring a goal in the 1–1 away draw. He has since won the Thai Premier League, 2 Thai FA Cups, 2 Toyota League Cups and the Kor Royal Cup in his two years with the club. He has established himself as one of the best and most consistent players in the country and has been won many Player of the Month awards and been included in TPL Best XI teams. In January 2014, Osmar signed a 3-year deal with South Korean powerhouse FC Seoul, becoming the first Spanish player to play in the K-League.